Naturalist-author "Wildman" Steve Brill is America's go-to guy for foraging. He's been leading foraging tours and providing demos for the public, for schools, day camps, birthday parties, museums, nature centers, parks departments, restaurants and chefs, garden clubs, hiking clubs, teaching farms, nurseries, and other organizations, in parks and natural areas throughout the Greater NY area, since 1982. He created his own website, Foraging with the "Wildman." His Identifying and Harvesting Edible and Medicinal Plants in Wild (and Not-So-Wild) Places (William Morrow Publishers, 1994) is considered a classic on the subject. His innovative Wild Vegan Cookbook (Harvard Common Press, April, 2002) is changing the way people think of preparing gourmet food. His Shoots and Greens of Early Spring in Northeastern North America (self-published, 1986 and 2008) teaches people how the foraging season begins, and his Foraging with Kids introduces children to the natural world. His Foraging With the "Wildman" DVD is showing people how it's all done, and his iOS/ Android app, Wild Edibles, is the best foraging app in America. But the world-famous environmental educator is still best known for having been handcuffed and arrested by undercover park rangers who infiltrated a tour, for eating a dandelion in Central Park! To learn more, visit http://www.wildmanstevebrill.com. I teach foraging to the public, for schools, museums, day camps, nature centers, parks departments, and other organizations throughout the Greater NY area and beyond. I also create innovative, gourmet vegan dishes using wild foods. I know the plants and mushrooms especially well, having studied, collected and used them regularly since the early 1980s. I continue to study all areas of science, which I incorporate into my discussion of the wild plants. The same is true for plant-related history, folklore, and mythology. I’ve studied the folk uses of the plants as medicine, as well as scientific studies of the medicinal properties of the plants, so I present this info on my tours and lectures as well. I’m also a botanical illustrator, and use the illustrations of the plants, as well as my photos, to show people the salient features of the plants we’re finding that are necessary for correct identification, and how they change throughout the seasons. 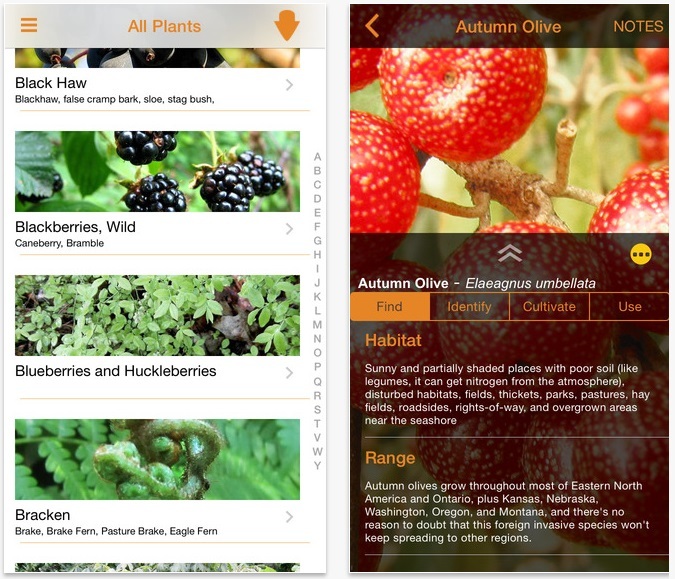 I’ve created the definitive iOS/Android foraging app, Wild Edibles, with all the pictures, and everything I know, that I use on the tours, and I’ve also written 4 informative, entertaining books on the subject. My tours are entertaining as well. They include anecdotes, stories, comedy, and jazz music I play on the Brillophone (see my site wildmanstevebrill.com, for more on that). My 11-year-old daughter, Violet Brill, co-leads half my tours. Very popular with the tour participants (especially the other kids,) she knows all the plants, finds them more quickly than I do, and steals the punch lines of all my jokes! In the kitchen, I continue to experiment with recipes, drawing on the culinary traditions of cultures from around the world, plus culinary science. I apply these to wild foods, along with the unusual ingredients in health food stores that conventional chefs ignore. You need to love your subject, learn everything you can about it through every means possible, continue adding to your knowledge, and involve yourself with the subject matter. Personal: I want to continue being the best father I possibly can be for my daughter, and have lots of fun with her as she grows up and continues to develop her potential. I want to continue to develop my skills and knowledge, which, of course, also relate to my business. I want to continue studying science, philosophy, and chess, and listen to lots of jazz. I’d like to stay physically fit and healthy well into old age, and beat my iPad at chess more often (I used to be an active class A-rated tournament player, and an expert-rated correspondence chess player). Business: I want to continue leading foraging tours in many diverse situations, and continue making them better and better. I want to write more books, including an e- book that incorporates text, photos, and videos. I want to add more depth and features to my app, and I’d like to incorporate my daughter, who wants to teach foraging when she grows up, more and more into my business. The natural world, and the science that underlies it, has fascinated me ever since I was very young. I also love human creativity, in science, philosophy, the arts, and music, especially jazz. Bix Beiderbecke, the great jazz cornetist, pianist, and composer of the early 20th century, has been my greatest artistic inspiration ever since I discovered him many decades ago. I’m inspired by everyone creative, in science, in the arts, and in the humanities, from Socrates to Albert Einstein, or from Bobby Fischer (who I’d met) to Duke Ellington. I also admire all the people who work so hard to keep our planet green and healthy. I like all natural places, from Central Park (where, because there are no deer, you can find more edible wild plants than in the countryside), to The Galapagos and Antarctica, which I visited. I love all my cooking equipment, my iMac, my iPhone, and even my iPad, even though it sometimes beats me at chess! If this question is about products I sell, they’re listed in my bio. I love nature, science, cooking, working with kids, jazz, literature, history, science fiction, and co-leading foraging tours with my daughter.